This is a story of love, forgiveness, and redemption. Robin is a man broken by the actions of others and Marcus is a man who has lost a loved one to those actions. Marcus should see Robin as an enemy, he should hate him. Yet Marcus is a man with a gentle heart who can’t leave Robin to the darkness that surrounds him or the hatred that continues to beat down his spirit. In saving Robin, Marcus learns to let go and love. In meeting Marcus, Robin gains a friend, an ally, a protector and a lover. Together these men and one determined woman stand up to the darkness in both their lives. 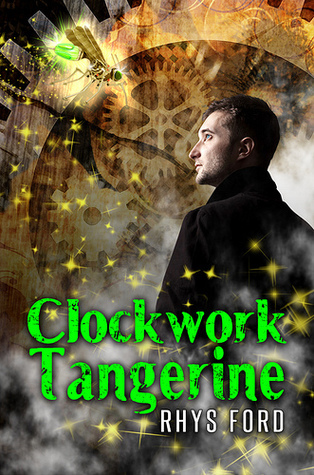 This is a wonderful take on the Steampunk tradition and a lovely novella. Rhys Ford tackles one of the hardest genres to write and gets in right in all ways. I loved the universe and the pictures her words painted in my mind as I read. I would recommend this story and all of Rhys Ford’s books to everyone. Miss Ford is a constant source of entertainment and lovers who defeat all odds, even those they place on themselves.